Pugwash is a quaint village located on a scenic harbour at the mouth of the Pugwash River. A popular holiday area, Pugwash offers visitors a unique gallery, craft shops, award-winning golf courses, and saltwater bathing on fine sandy beaches that feature some of the warmest waters in Nova Scotia. Pugwash gained world attention in 1957, when millionaire industrialist and humanitarian Cyrus Eaton convened the first Thinkers’ Conference at Pineo Lodge. The “Pugwash Movement” became synonymous with the themes of global cooperation and nuclear disarmament, and in 1995 shared the Nobel Peace Prize with Joseph Rotblat. The town’s strong Scottish heritage is reflected in the street signs, which are in both Gaelic and English. 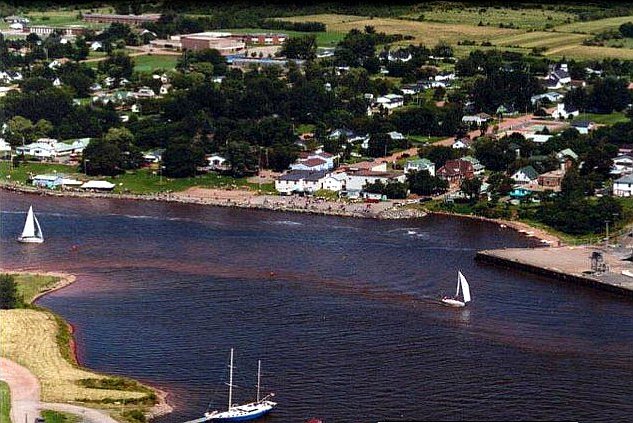 Each July 1, Pugwash hosts the colourful Gathering of the Clans, which attracts thousands of visitors who come to enjoy the festival’s traditional music, dances and highland games.